Go Language Runtime Metrics are now in public beta. 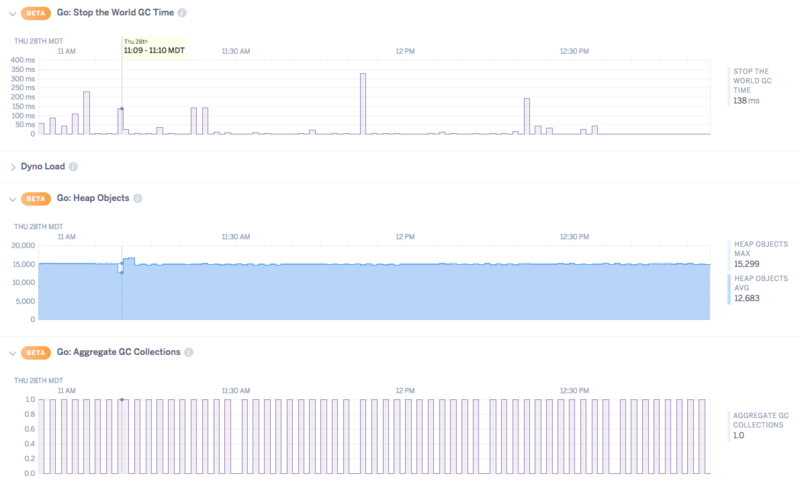 This feature adds time series plots for stack and heap memory usage, stop-the-world garbage collection (GC) time, GC aggregate collections, heap objects, and Goroutines to Application Metrics. Refer to our Dev Center documentation for installation instructions. In addition to Go, JVM metrics are also supported. Additional metrics are planned.